In a way theses pictures are pure Hollywood: they are perfectly staged and beautifully lit artifice. Even working on the assumption that the information they gave diCorcia is correct, we have no way of knowing who these young men really are. Some, none or all may be prostitutes; that aside, what brought them here is something we aren’t party to. 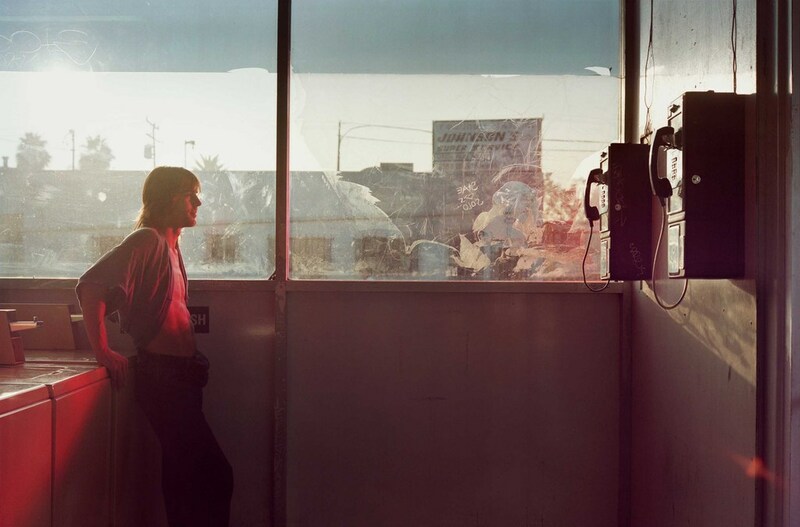 All we know is that for the duration of making the picture, each is an actor playing a character in a scene prepared by diCorcia. It is up to us to fill in the narrative should we choose to. 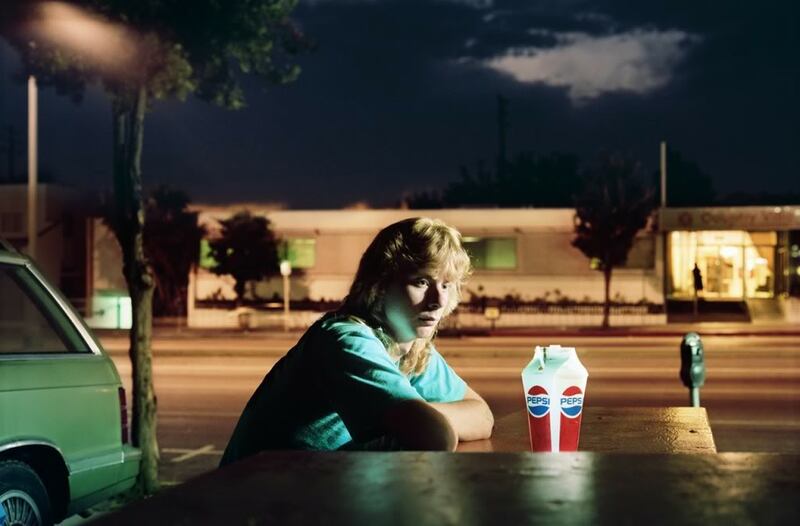 DiCorcia’s use of lighting is again what makes this series work. The pictures are taken in the evening, either at twilight or a little later. There is a feeling that this is time of day when nothing is quite real, when dreams – and nightmares – can be played out; the pictures carry that sense of magical expectancy, perhaps of belief in the dream of Hollywood. The men seem pensive, as though readying themselves for the night ahead. We can only guess whether they face it with optimism or trepidation. None holds our gaze; they are lost in their own thoughts and their own world. There are visual metaphors aplenty here. 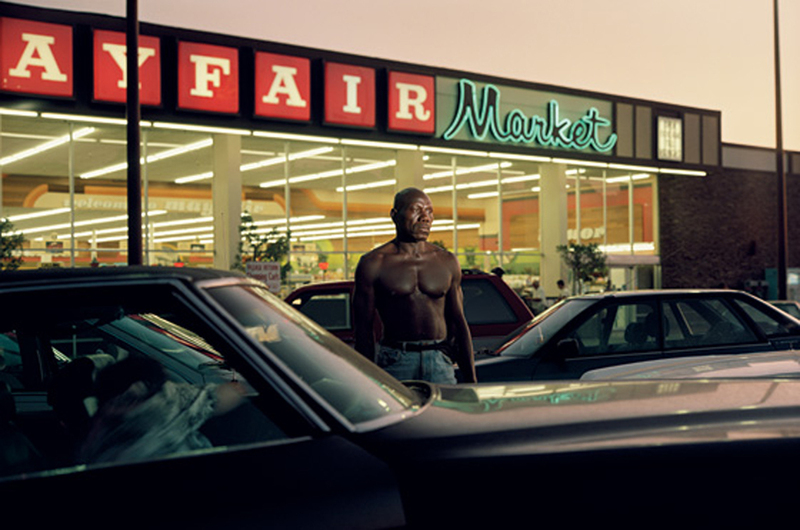 In the way Ike Cole appears trapped by the cars surrounding him, for instance, or Brent Booth and Ralph Smith sit alone in the street, or the way Mike Miller stands facing a pay phone as if waiting for a call, diCorcia is dealing in stereotypes. But this is Hollywood. Stereotypes are, I suppose, only to be expected. They’re part of our way in to the narrative. 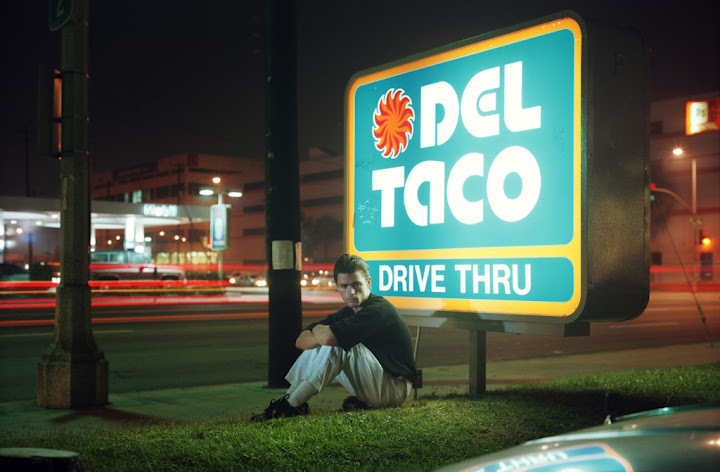 This entry was posted in Performance, Photography and tagged art, Hollywood, Hustlers, Philip-Lorca diCorcia, photography by Ann Jones. Bookmark the permalink.